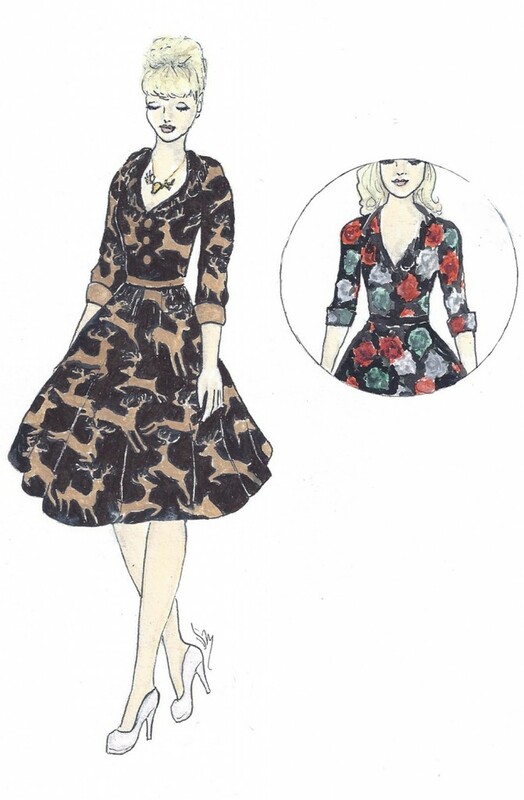 A dress I designed is now a finalist in the Modcloth Make the Cut clothing design contest. 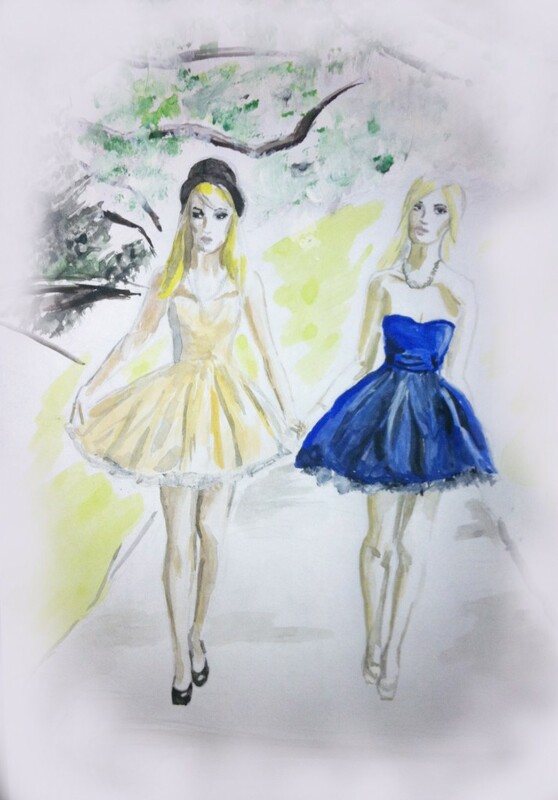 If I win they will actually make and sell the dress. It is shown here in two patterns, which I call reindeer garden and holiday bouquet (in the inset). It would mean THE WORLD if you guys would vote for me. (It's hard to compete against people with legions of Facebook fans but well that's how these types of competitions work. I'm not complaining though since the 30 dresses that made the finalist round are chosen because the Modcloth people think they'd sell.) Voting is now open through Facebook. I think you have to like Modcloth to do it first. Here's the link to the voting page. Also, it's been months since the last My Style Canvas giveaway so I think it is high time for another. The prize? A portrait of you. Something you could use as a blog sidebar or Bloglovin' icon, or a little something to give to a special someone. To enter, just follow this blog via Bloglovin' or like it on Facebook. Extra entries for doing both and it's also extra if you follow me on Twitter. I would also offer an extra entry for those who vote for me in the Modcloth Make the Cut Contest but I'm not sure if they would be okay with that. So... if you vote for me for that and you would just have my gratitude. As for the other entries, just leave a comment on this post if you've entered with an email address. Thanks, dolls.